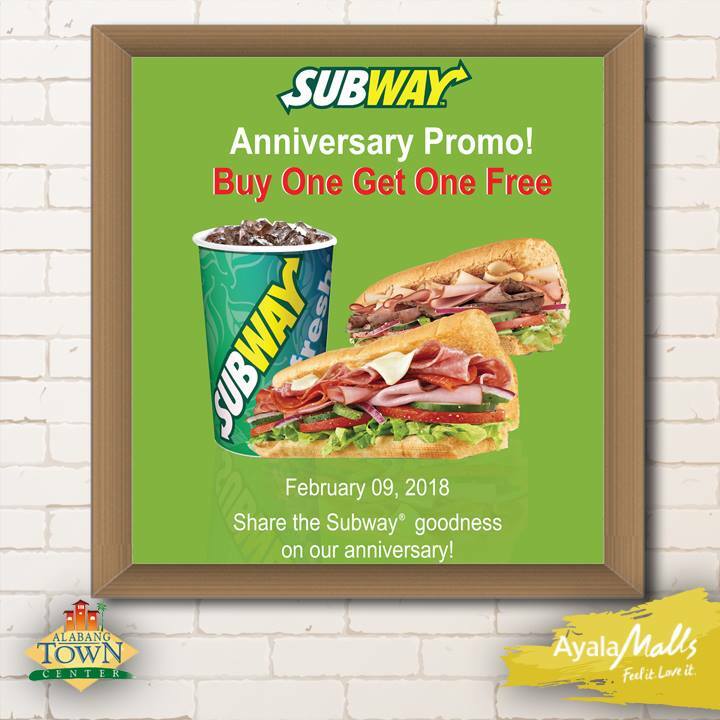 Subway located at the ATC Corporate Center is celebrating its Anniversary! 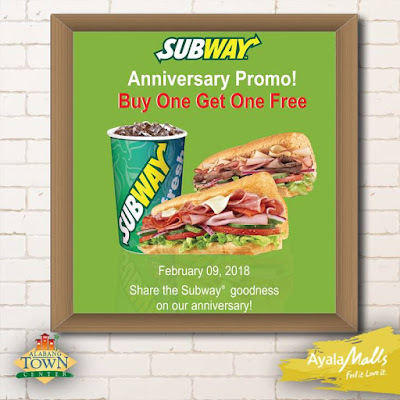 Check out Subway's Buy1 Get1 Promo exclusively available to ATC Corporate Center in Alabang. Buy a 6" sub and a 22-oz drink, and get another 6" sub!